Nowadays smartphones have become an ordinary thing not only in the hands of an adult but also a child. Many children get their first mobile phone in school and even in kindergarten to always stay in touch with their parents. Besides, a smartphone is needed not only for making calls but also as a powerful educational and gaming platform. However, a multifunctional gadget in the hands of an under-age child can also become a source of problems associated with visiting unwanted sites on the Web or downloading scumware. Therefore, the Android system provides the opportunity to set up parental control on the child’s phone. Limit the time a child spends on games. Parents can limit child’s access to certain features of the phone through the settings of Android or Google Play store and also install specialized applications for the mobile devices. Set limitations in the guest account. The child will be able to choose which applications will be installed on the personal desktop, but parents will have access to them. For example, you can restrict access to a browser or set a password on Google Play. When adults set up parental control, they can provide their child with the most useful applications for studying, which will be very helpful at school and home. Set and confirm the PIN. After that, Google Play gives the ability to configure content filtering. There is age limit from 0 to 18 years in games, applications, and movies. And if you tick in the “Music” section you can set a ban on downloading songs with profanity. 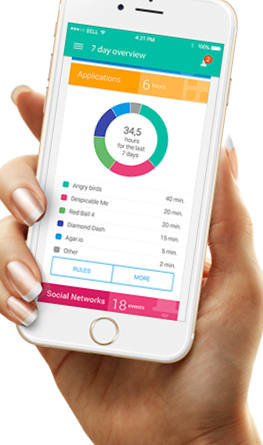 The “Screen Time” application will help parents manage the time the child spends on the smartphone. The program consists of two parts: the main application and the Screen Time Companion, which you put on the child’s mobile device. After that, adults can monitor all activity on the phone of their son or daughter: which games the child starts, how much time he or she spends on entertainment applications, what he or she is watching or listening to. – Adding minutes of program work. Thus, if a child plays with the phone instead of lessons or lunch, parents just need to press the button in the application on their gadget, even without taking the cell phone away from the teenager. Kid’s Shell is a launcher only for applications and games that are only authorized on the phone. With its help, there is a special safe zone in the mobile phone of the child. 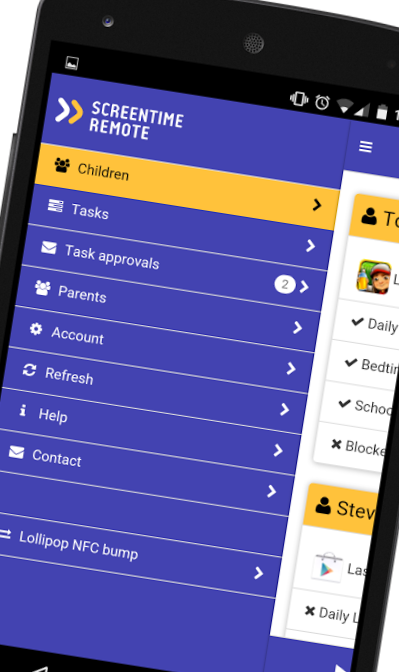 Also, the launcher can be installed on the parent’s phone to which the child has access. In this case, calls and SMS are blocked, as well as access to Google Play. – Setting a password to exit the shell. In the PRO-version, there are additional features such as the ban on Internet access, desktop settings, setting the time of the smartphone, and the built-in player with useful content for the child. YouTube Kids is a special application that contains entertaining and educational videos. In this case, if parents don’t like any video, they just need to click on the “Report” button, and the specified movie will be removed from the program. Thanks to the large buttons, even the smallest users can control the interface. Also, a smartphone with the installed program can be connected to the TV and the child can watch videos on the big screen. Special settings for adults allow you to turn off the search function so that the child only watches the video of the main screen, and also limits the running time of the program. Set Lagoon for parents or go to your profile on the site. In the profile, parents can monitor the activity of their child on the Web and in applications, set a limit for working with programs, and even monitor geolocation. With it, parents can always see where their child is and receive notifications the kid leaves the set boundaries of a particular territory. Before setting up parental control on a phone, adults should take care to provide their child with a reliable and inexpensive gadget for learning and playing games. The cost. A smartphone should not be too expensive since children have a habit of breaking even the most favorite toys. Functionality. Gaming and training applications, as well as special shells for parental control with the contained programs, must be run without problems on the mobile device. Small size. For children from 7 to 14 years, it is better to purchase lightweight and compact smartphones for more comfortable use.